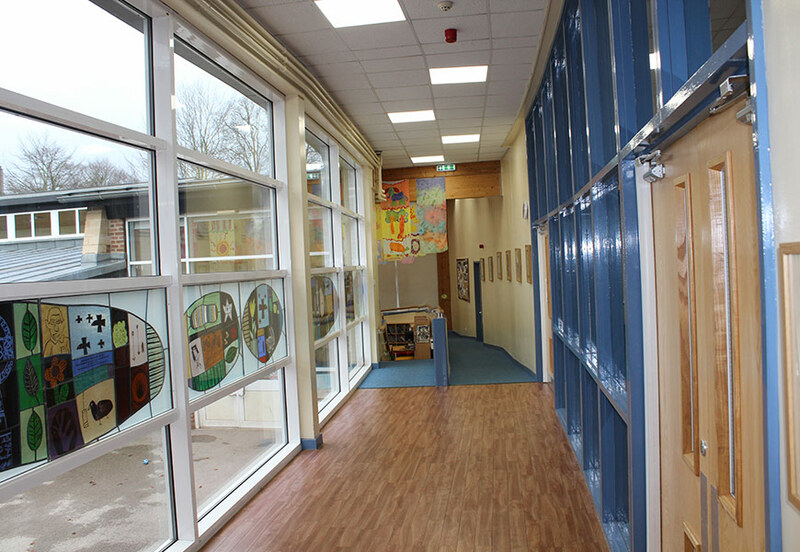 Low-energy LED recessed modular panels have been specified at four schools owned and operated by facilities and building management company GFM. The trend for schools, colleges and universities to replace poor efficiency legacy lighting systems with cost-effective LED fixtures is now well established - thanks in no small part to the innovative technology that Tamlite Lighting has been able to deliver to the educational community. 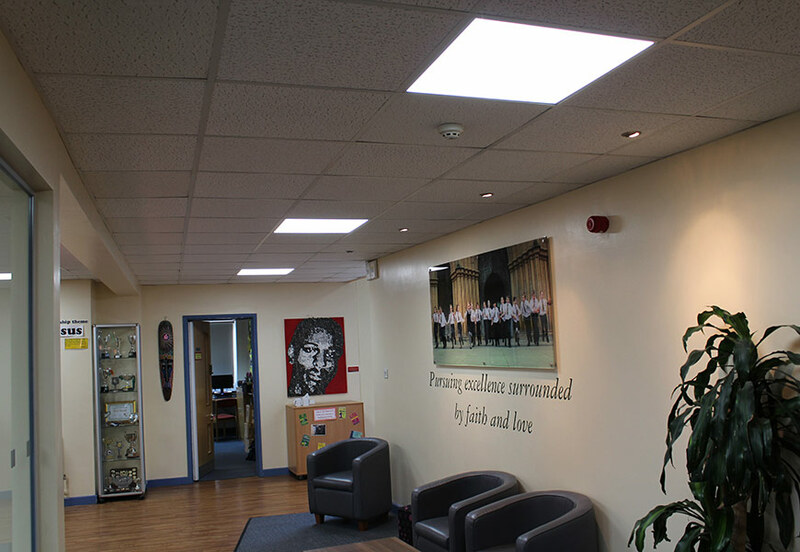 In its latest high-profile project the company has supplied well over 300 MODLED low energy LED recessed modular panels to four Yorkshire schools in order to boost the standard of lighting output and reduce energy and maintenance expenses. All of the schools - Brotherton and Byram Primary, Barlby Hill Top, Kirby Hill and Ripon Cathedral - are owned and operated by leading facilities and building management company GFM. The installations were carried out during the second half of 2015 in accordance with GFM Maintenance Manager Steve Campbell's desire to deliver a decisive step-change in the quality of the school's lighting infrastructure. Read more. There were a number of serious issues with the existing, flourescent-based installations," observes Campbell. "In particular, there was a need for regular lamp replacement and diffuser cleaning. This was especially challenging at Ripon Cathedral School, where the vaulted-ceiling classrooms were lit by 5ft suspended twin fluorescents - a real maintenance-headache as they always had to be attended to 'out of hours'. 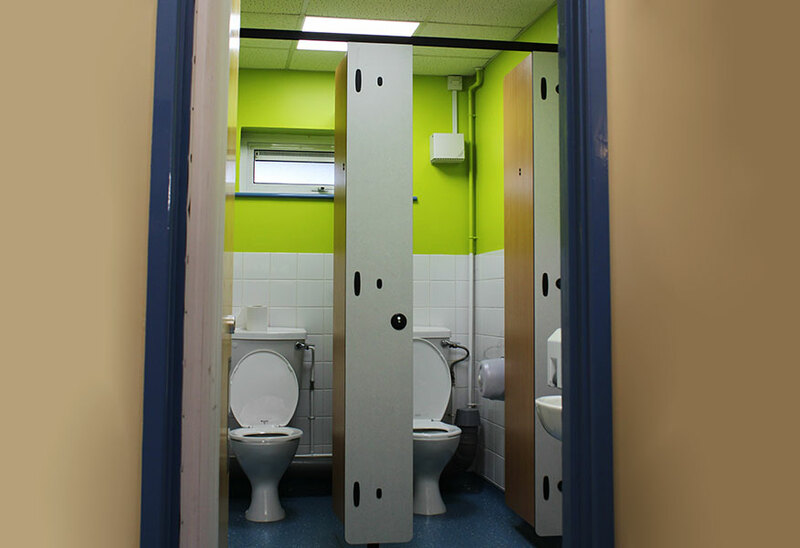 The lux levels were also very poor in some areas of the schools, so the need to improve overall output for the benefit of pupils and teachers was another important impetus behind the project." Given the successful implementation of LED lighting throughout the educational sector, GFM made research into this technology a key priority as it set about investing in new lighting at the four schools. To help make the best decisions for the long-term, Campbell enlisted electrical contractor Scotton Park Ltd, who soon devised a solution based around Tamlite's robust, competitively-priced MODLED panels. A popular choice for schools and colleges throughout the UK, the MODLED recessed modular panels incorporate the latest SMD LED chips to deliver consistently high quality and maximum efficiency of energy consumption. 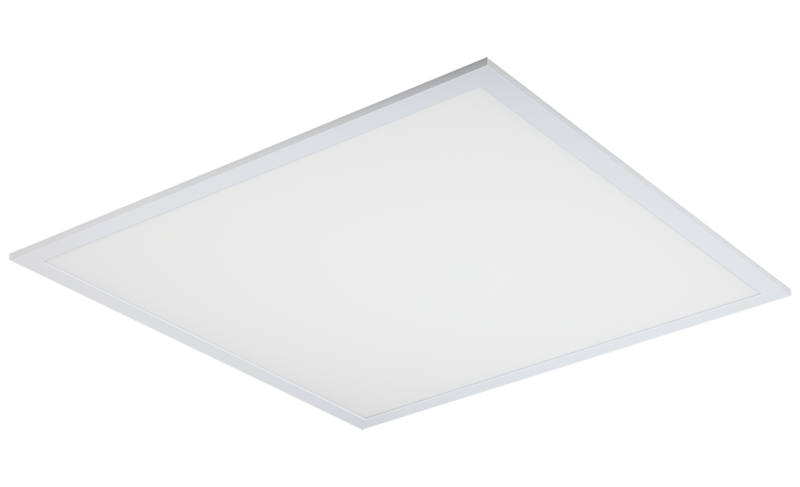 Featuring extruded aluminium frames and opal PMMA diffusers, the panels' modular dimensions allow them to be installed quickly and easily in most exposed T-bar ceilings and other problematic spaces. Campbell remarks: "It was clear to us that these could provide a much-improved output, as well as far longer life expectancy - meaning a lot less time spent accessing and replacing fixtures in all those tricky vaulted ceilings!" In total, more than 300 MODLED panels were installed across the four schools, with Barlby Hill Top responsible for the largest deployment of some 117 units. 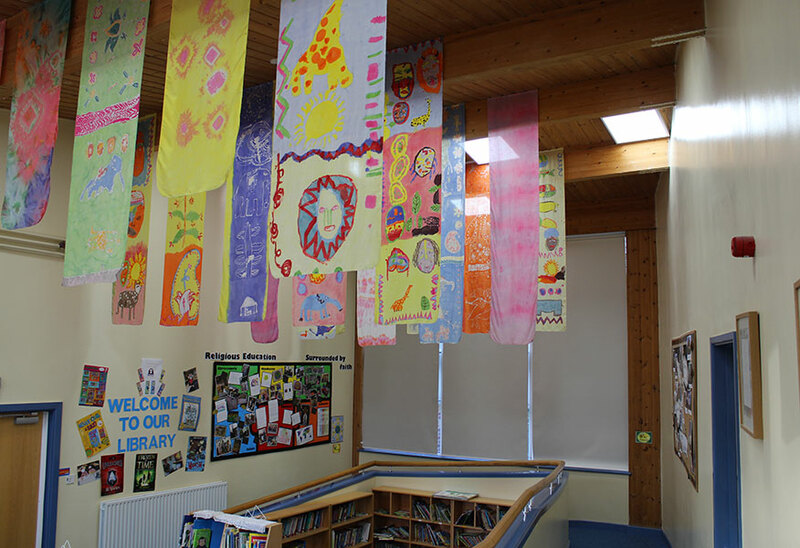 The expected savings at this school are impressive and typical of the installations across the four sites, with a predicted annual energy saving of 34% and a reduction in carbon emissions of 2557.5 (CO2/kg). The forecasts for Kirby Hill are particularly striking, where the MODLEDs are expected to deliver a yearly energy saving of 59.3%. They will also facilitate a dramatic cut in carbon emissions in the region of 6969.7 (CO2/kg). "It's early days, of course, but the indication is that we are going to see a very welcome reduction in our energy bills and overall carbon footprint," says Campbell. "But I think it could ultimately be expenditure on maintenance where we see the most dramatic improvement. The new lamps have a lifespan of 50,000 hours, so there isn't going to be much call for replacements in the next five years. The cleaning burden will also be substantially reduced, while the MODLED panels are also much easier to handle and store than fluorescents. In fact, I'd suggest that there isn't nearly enough attention given to the health & safety benefits of LED..."
As a case in point, Campbell points to the WEEE costs incurred when a flourescent lamp reaches the end of its operational life. "Sometimes a lamp will cost £3 to buy and £1.03 to dispose of," he notes. "LED lamps obviously have a far greater lifespan so it stands to reason that we will make significant savings on our disposal costs." In the meantime, the improvement in the quality of light and the lux levels - now 300 lux, so slightly above the standard for schools of 280 lux - has already been commented upon by students and staff. The change has been particularly apparent in Ripon Cathedral School, where the new lighting has "made a real difference to the vaulted ceilings. You can now see the top and it's almost like a skylight effect - very pleasant." Emboldened by the success of this project with Tamlite and Scotton Park, Campbell is now hatching plans to "go full LED across all of the schools", including car parks and traffic fixtures such as bollards. "I am completely sold on the benefits of LED lighting and can't wait to extend its usage throughout our schools," he concludes.